Players from the Concordia Stingers women’s soccer team had some extra motivation to quickly clear up the field after Monday evening’s practice. A familiar face was roaming the sidelines waiting for them to finish: Montreal native and double Olympic bronze medalist Rhian Wilkinson. Despite having played in front of massive crowds at the 2012 Olympics in London and the 2016 Olympics in Rio de Janeiro, Wilkinson seemed a little nervous speaking in front of the little rafter where about 30 people gathered. So much so that she pulled up a little podium to stand behind midway through her speech. “I get nervous when I talk in front of people but I play in front of 70 000 and it’s just noise to me,” said Wilkinson before continuing with her lecture. 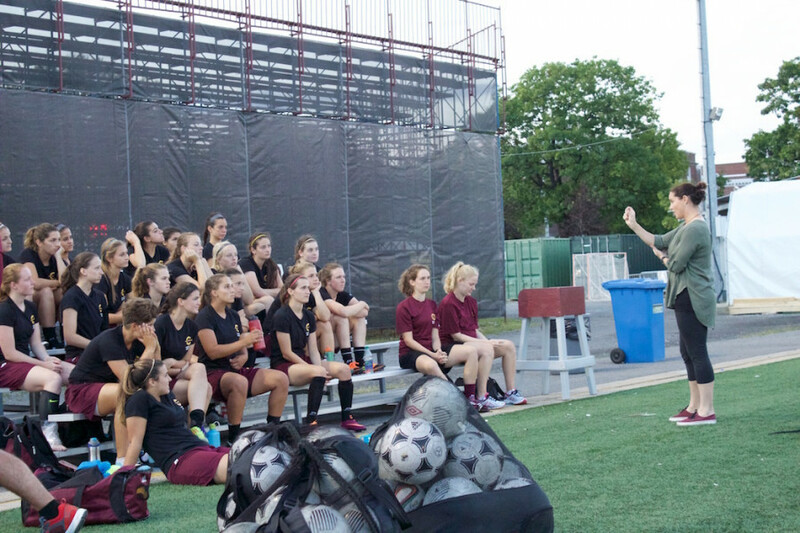 The Canadian national soccer team member accepted the invitation to speak from head coach Jorge Sanchez, who coached her at the provincial level when she was a teenager. Though Sanchez wanted her to talk about Rio, he had other things on his mind. In her speech, Wilkinson mentioned that of the 1.3 million students in Canada, only 11,000 are student-athletes. Wilkinson told the players about the few bumps in the road she suffered through. Back in the day, Sanchez told her she was the last player selected on the provincial team because of her angst and fight. Among other things this gave her the desire to continue and prove him wrong. The fact that she was speaking to women that have or will cross a similar path ultimately makes it better for Wilkinson. 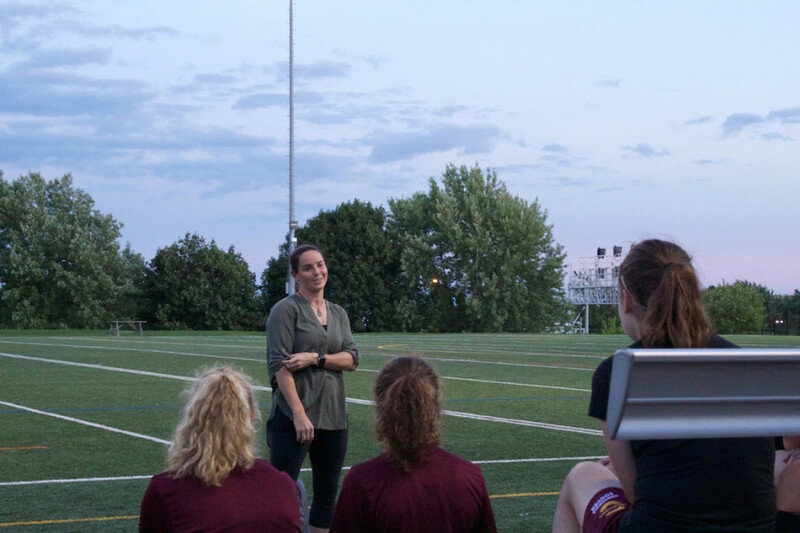 The Concordia Stingers women’s soccer team will begin their regular season on Sept. 3 when they will take on the McGill Martlets at McGill Stadium. Tune into episode 72 of the Pressbox Hat Trick Podcast where Rhian Wilkinson is this week’s guest.